When inventory management takes place, this involves the tracking of items, with the ultimate goal being to make sure an adequate supply of items are in stock according to consumer demand. A barcode inventory system helps determine whether or not items are going missing without being paid for. There are numerous ways to take inventory and thanks to technological advancements, barcode equipment technology is proving to be of the utmost value. A barcode inventory system enables inventory managers to centralize the processes completed during inventory phases. Whether it be counting inventory as items arrive or counting them once they are ready for distribution, this method of taking inventory tends to be spot on, meaning no items go unaccounted for. Warehouse workers should not be overburdened with having to track inventory by hand. Not only does this become time-consuming, but there is a higher chance that every item won’t be counted. A viable solution for this issue comes in the form of barcode labels. Fortunately, taking advantage of barcode labels does not force companies to become bankrupt. There are many affordable options available, with each option appealing to different businesses and application types. If your company is looking for a more time-efficient and accurate way to count its inventory, it’s highly recommended that you take advantage of a barcode inventory system. 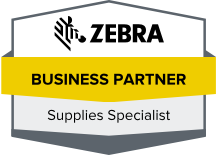 Contact us today to learn more about the many barcode equipment solutions that we provide.